Pierre is a charming Frenchman who oversees every element in this intimate, elegant but relaxed St. Barth’s style bistro. Photos of his family in Alsace and Paris, and changing art exhibits, form an interesting backdrop to the décor. 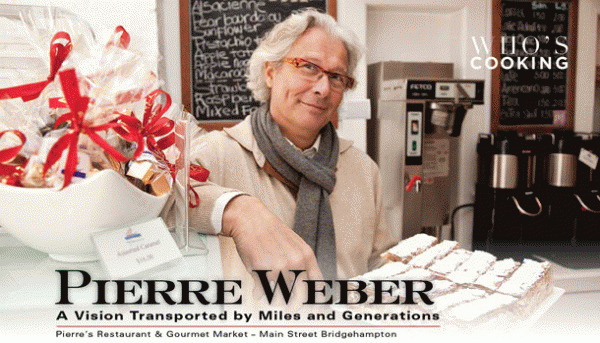 He is proud of his new venture—Pierre’s Gourmet Market, a French patisserie and gourmet shop, which offers fresh baked croissants, napoleons, meringues and sandwiches on French bread. 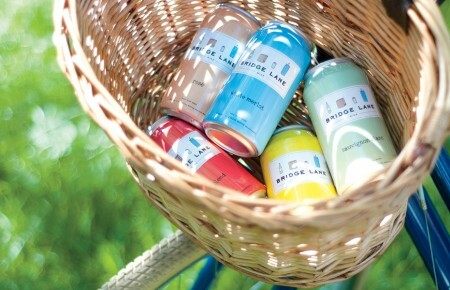 The menu is perfect for catered parties and beach baskets. Pierre plays host seven days a week for breakfast, lunch and dinner in the restaurant and believes his customers’ ideas about food and wine are important. When told that his croissant was perfect, Pierre responded, “Yes, it is perfect today, but the trick is to be consistent and make it perfect every day.” He continued, “One of the worst things is certitude, leaving no room for doubt. This is true in cooking and in politics. Recently, I brought one of my best chefs to École Lenôtre in Paris for a cooking class. The two of us went back to study chopping techniques and basic sauce making. What we relearned was amazing! 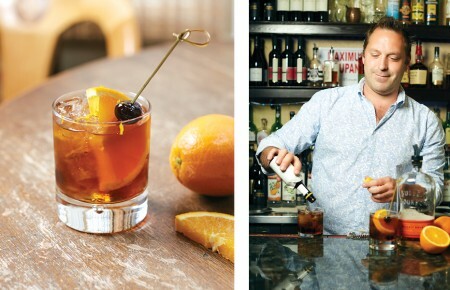 For his sanity, Pierre takes weekly jaunts to NYC and regular trips to France. His favorite meal recently was at Le Comptoir in Paris where he enjoyed grilled toasted bread with pâté paired with a Chateâuneuf-du-pape. Obviously, he enjoys every aspect of his business, including publicity. He produced several ad videos on Youtube, which usually involve beautiful women, wine, food and French music. “Cooking and serving food is like theater. For the daily performance, one must direct the kitchen, prepare the setting and even control the lights and music to the mood.” The show does include live music many nights and there is a late bar scene. Pierre Weber is the director of the show and is now proud to call Pierre’s Gourmet Market, his dream since childhood, his second Hamptons stage. When driving east, make plans for a meal of Bouillabaisse Marsellaise, Paëlla Valenciana, Saumon Grillé or any item from the extensive menu at Pierre’s. Or simply pick up a pastry or lunch at the market and be assured that the Weber vision has been realized. The first time Pierre Weber served Lobster Fricassee he was working at an eatery in a small village in France. When he opened Pierre’s in Bridgehampton, he decided this great dish would be a nice addition to the menu. It has become a favorite of many of his customers and is especially good in the summer season. Prepare lobster by chopping legs and tail from the body leaving the shell on. Put these pieces into a stockpot, add water to cover, simmer to a boil then turn to low. Cook for at least 60-90 minutes on low, then remove from stove and drain off stock. Pour olive oil in very hot pan, throw in tail and claws, and add cognac and flambé. Add lobster stock, fresh tarragon and simmer 3-4 minutes.